This week marks the arrival of our Little Elf from the North Pole. While some parents cringe at the thought of the Elf on the Shelf making a return, we enjoy seeing our kids’ faces when they see him back in our house. 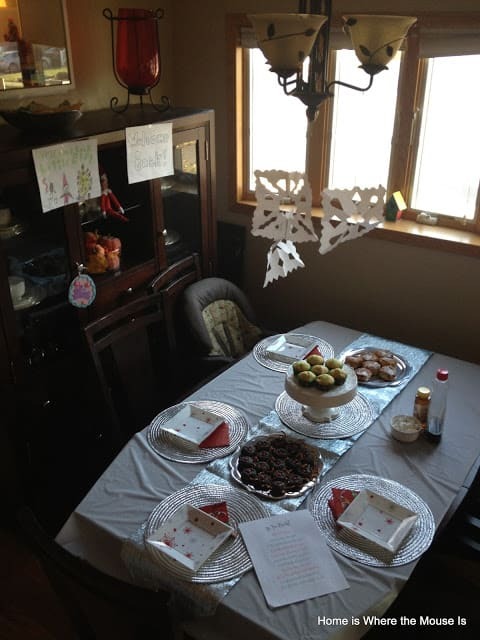 Each year, he celebrates his arrival with a welcome back letter and breakfast for our kids. We can’t wait to see what surprises he’ll bring this year. Here’s what he did for us last year. On the Sunday after Thanksgiving, Little Elf makes his way to our house. 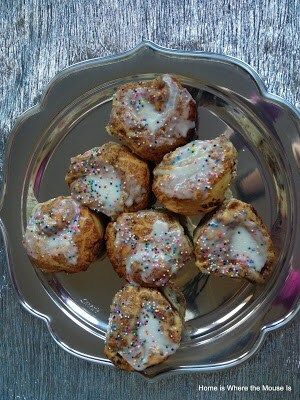 The kids wake up to a festive breakfast spread complete with fun holiday themed treats. He even brings a few touches from the North Pole to make him feel at home. Knowing he’s coming, the kids make pictures to welcome him back. They also decorate his “apartment”, a glass cabinet between our kitchen and dining room. This is where he hangs out while he’s with us. But, more often than not, he’s visiting other places in the house instead. While other Elf on the Shelfs get into trouble with their naughty antics, ours prefers to hang out with some of our other toys. 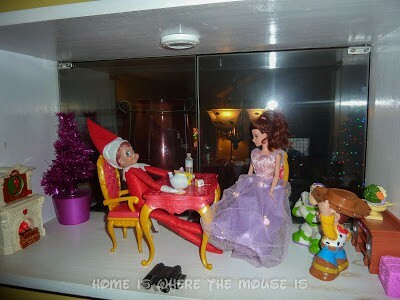 Little Elf has a tea party with some of our Disney peeps. Of course, he always has a letter for them too. Each year, ‘he’ personalizes the letter and lets them know a little bit about what they’ll be doing this holiday season. You can read ‘his’ previous letter here. 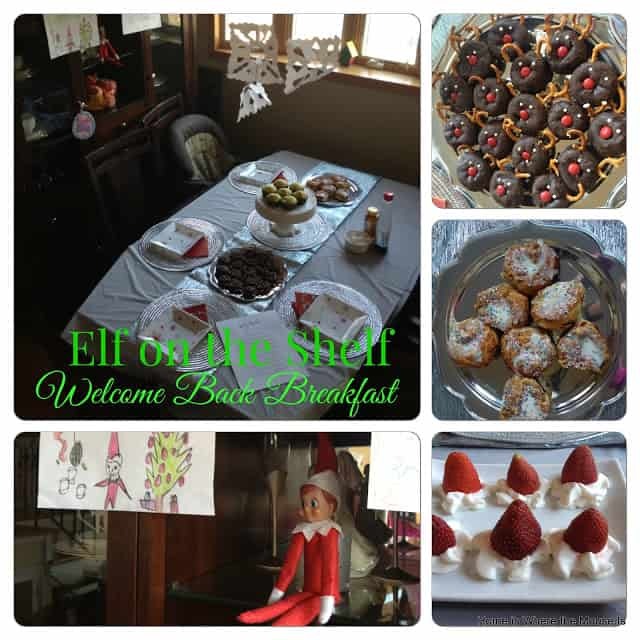 Breakfast is a feast that would even make Buddy the Elf happy. 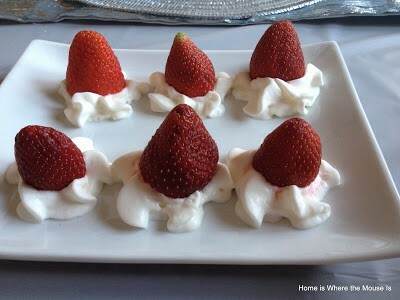 It’s sweet, sweet and more sweet. 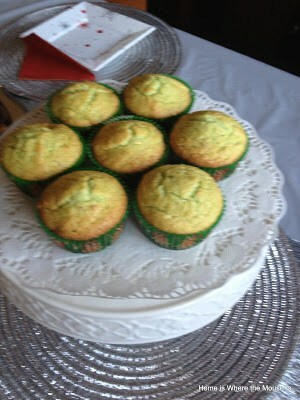 Besides, sweets are elves favorite foods. 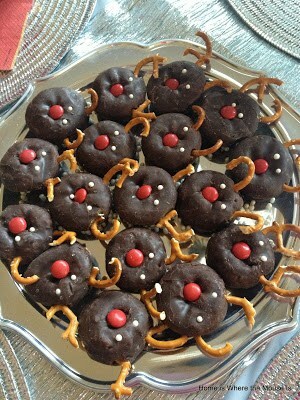 Last year we dined on Reindeer Doughnuts, a Cinnamon Roll Tree, Elf Muffins and Strawberry and Whipped Cream Santa Hats. 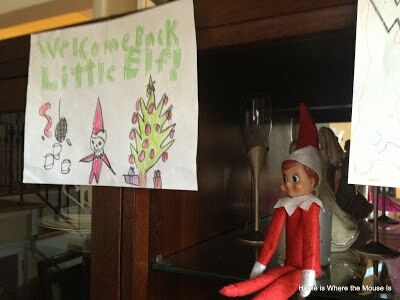 Our kids always look forward to Little Elf’s arrival. For our family, he ushers in the holiday season. We’re excited for all the fun and magic that will happen this year. Right on schedule, our Elf on the Shelf returned. 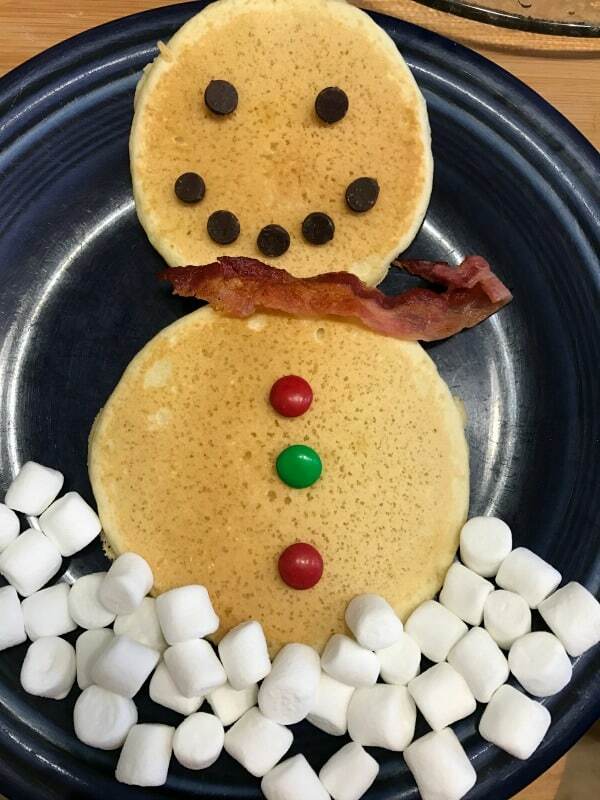 This year he brought a little bit of home by way of a Winter themed breakfast. 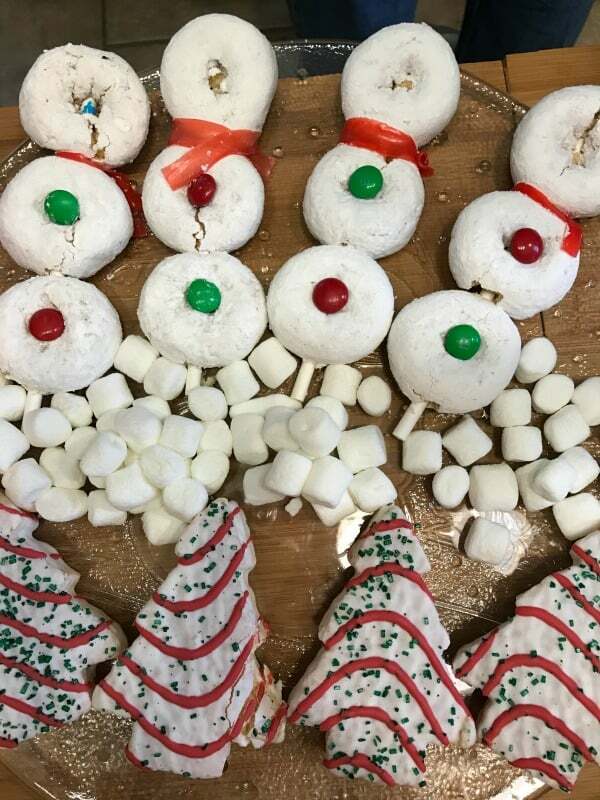 The kids love the snowman pancakes and snowman doughnuts on a stick. 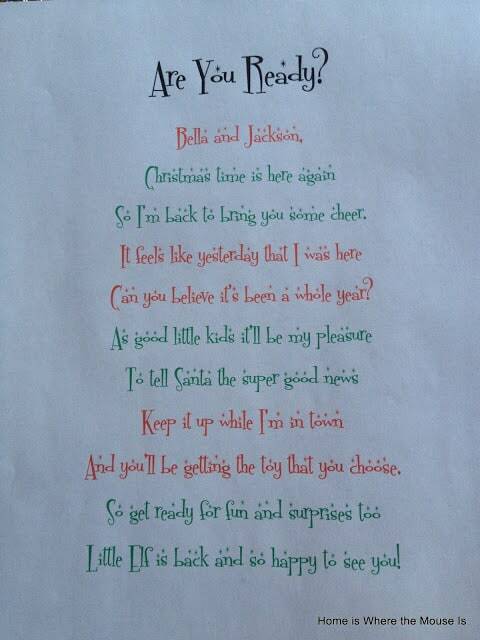 Here’s a copy of all of our Elf on the Shelf Welcome Letters. 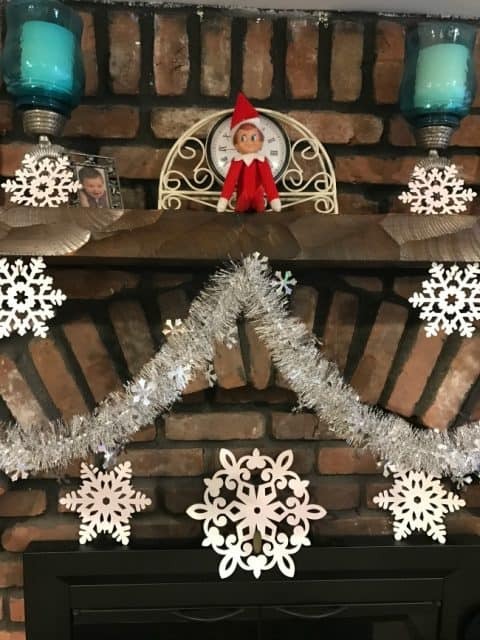 Also check out our Elf on the Shelf board on Pinterest. What kind of fun do you have with your Elf on the Shelf?